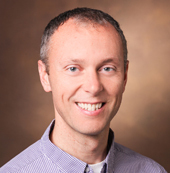 Vanderbilt University Medical Center has been approved for a $1 million funding award by the Patient-Centered Outcomes Research Institute (PCORI) to study more efficient and feasible ways to validate electronic health records (EHR) and incorporate this information into medical studies. There is growing interest in using EHR data as a practical resource to support patient-centered research using patient outcomes from real-world clinical settings. Some EHR data, though, may have incorrect information for medical diagnoses, dates of diagnoses or treatments. “These types of errors can often be corrected by carefully reviewing patient records and making changes, where needed, but it is expensive and time-consuming to do this for large numbers of patient records,” said Bryan Shepherd, Ph.D., the principal investigator and associate professor of Biostatistics. The PCORI project will study ways of validating a random portion of EHR records, and then develop statistical methods to try to predict correct values for the remaining EHRs that were not validated. The primary aims of this project are 1) to develop statistical methods that allow researchers to obtain accurate estimates using data that have only been partially validated; 2) to better understand which patient records should be validated to optimize resources; and 3) to apply the methods to a real-world study using EHR data. “This project was selected for PCORI funding not only for its scientific merit and commitment to engaging patients and other stakeholders, but also for its potential to fill an important gap in our health knowledge and give people information to help them weigh the effectiveness of their care options,” said PCORI Executive Director Joe Selby, M.D., MPH. Shepherd’s study was selected through a competitive review process in which patients, clinicians and other stakeholders joined clinical scientists to evaluate the proposals. “The big picture is clinicians are using EHR data for research studies that are used to guide treatment or to see how well patients do, and we want to get the right answers,” Shepherd said. Co-principal investigator of the study is Pamela Shaw, Ph.D., associate professor of Biostatistics at the University of Pennsylvania. Collaborators include Stephany Duda, Ph.D., assistant professor of Biomedical Informatics, Bill Heerman, M.D., MPH, assistant professor of Pediatrics, and Russell Rothman, M.D., MPP, professor of Internal Medicine, Pediatrics, and Health Policy. This PCORI award has been approved pending completion of a business and programmatic review by PCORI staff and issuance of a formal award contract. PCORI is an independent, nonprofit organization authorized by Congress in 2010. Its mission is to fund research that will provide patients, their caregivers and clinicians with the evidence-based information needed to make better-informed health care decisions. For more information about PCORI’s funding, visit www.pcori.org.